← You got a Xpand!2 Freebie, Get an upgrade! Flux:: has established a reputation throughout the industry for the highest audio quality with their innovative product line. After having sold amazingly well during black friday, Flux:: have announced that they have lowered the price of their Studio Session Pack to $149 ($179 list price). This is an incredible no-brainer price, comprised of the same plug-ins that audio professionals all over the world use daily on world class productions. 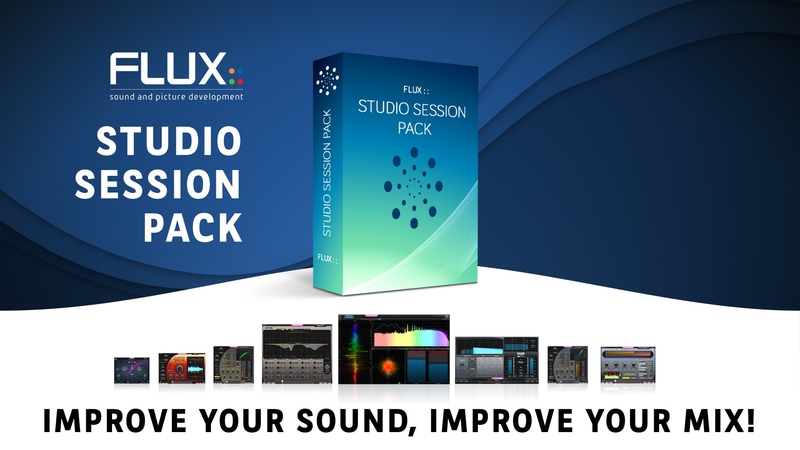 The Studio Session Pack contains 8 of Flux:: famous plug-ins : Pure Analyzer, Bittersweet Pro, Pure Compressor, Epure, Pure Expander, Pure Limiter, Syrah, and Ircam Tools Verb. It offers the best digital tools for the project studio user on a limited budget. This bundle is now at a much more reasonable price for bedroom producers all over the globe. So make sure you grab it as soon as possible in order to compete with some of the best producers out there! The Studio Session Pack is available at the DontCrack Store. This entry was posted in Audio Software, DontCrack, Plug-ins and tagged and Ircam Tools Verb, Bittersweet Pro, Bundle, Epure, Flux, Pack, Pure Analyzer, Pure Compressor, Pure Expander, Pure Limiter, session, Studio, Syrah. Bookmark the permalink.